1989’s abandoned collaboration finally saw the light of day in 2005. John Foxx and Bomb the Bass’ Tim Simenon went on to work with Shem McAuley, Kurt Rogers and Simon Rogers on what would become the Electrofear album. Unfortunately the album was never finished, despite releasing two singles (“Remember” and “Electrofear”) and it remained unreleased until 2005. 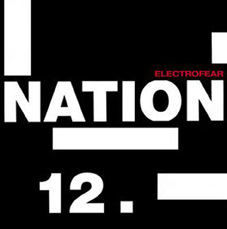 Good cassette recordings of the Electrofear material finally surfaced courtesy of a dedicated long-time Foxx fan, and went on to become the final CD issue of the Nation 12 project. Electrofear is an unusual collection of finished tracks and rough demos, built around heavy drum loops with occasional injections of hip hop and early 90s dance influence. Electrofear fills a large gap in Foxx's musical career, and several tracks, "Cities of Light 1", "Leaving", "Concrete, Bulletproof, Invisible" and "Invisible Women" later went on to be fully formed songs on Foxx’s solo albums, Shifting City and The Pleasures of Electricity. 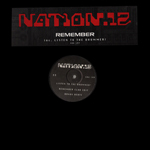 Tracks such as “Nation 12” and “Remember” formed the foundations for the style of Foxx’s future work, with a harder hitting electronic edge, yet the vocal tracks on Electrofear still manage to echo a psychedelic style similar to The Golden Section. The incomplete or ‘demo’ feel to some of the tracks comes as no surprise and actually adds to the charm of this much longed-for recording. Kraftwerk homage "Florian" is one of several standout tracks, along with "Into the Wonderful", "She Was" and "Your Kisses Burn". These tracks also have the makings of fantastic, long lost pop songs, with Foxx on full form as a vocalist. Aside from the two single releases, the Nation 12 track “Into the Wonderful” was used as the opening theme to the 1991 Bitmap Brothers computer game, Gods, and was something of a milestone in digitising music for computer games.